EPS has both office and crew trained and certified by the NRMCA as pervious concrete technicians. We also work closely with professionals in the pervious concrete business to meet a higher standard than others. 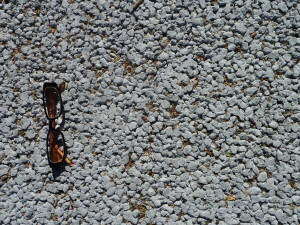 Unfortunately, pervious concrete has been getting a bad name recently but the issue isn't always with the actual concrete material. 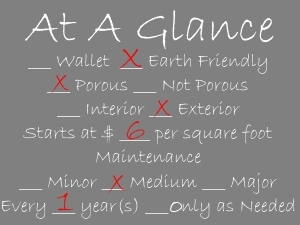 A lot of factors go into ensuring that your pervious will hold up. Most contractors do not have the training, the experience or the contacts that EPS does and this makes all the difference in the world. We have said it many times, EPS is full service. We will help designers, municipalities and/or homeowners with proper design and placement to ensure the best possible result. Correct placement, surrounding landscape, proper timing for installation and an experienced crew make all the difference. 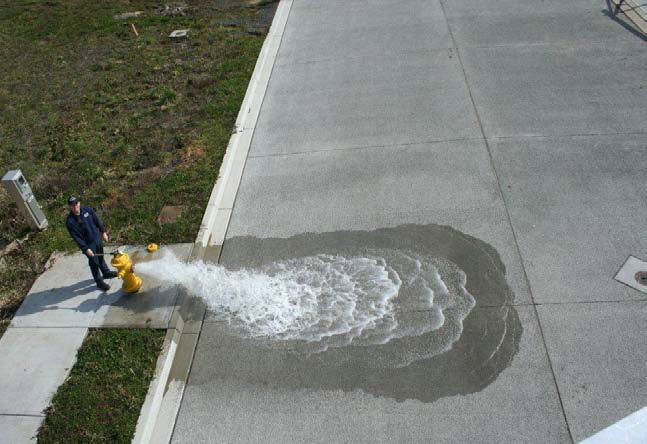 Pervious concrete allows stormwater to return into the ground instead of being directed into a storm sewer. Save valuable land- Like all our porous pavements you can maximize land use by using your parking lot as a stormwater pond. 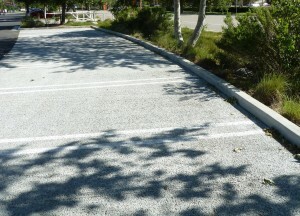 Pervious concrete stays cool and does not contribute to heat island effect as much as asphalt or even porous asphalt. 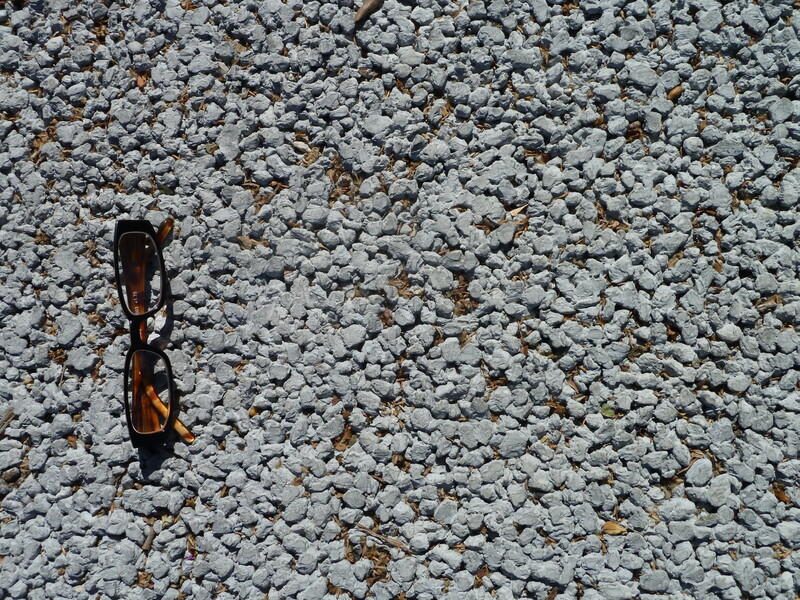 Between 15%-25% voided pervious concrete remains durable while still porous. You can earn LEED credits. With NRMCA certified technicians both in the office on on the crew we strive to deliver a better installation that most. Unfortunately many feel that the certification is just a hurdle they need to get through to be an installer, EPS feels that because Eco-Freindly Pavements are our livelihood we go the extra mile to ensure a professional install we also work with the top leaders in pervious concrete to ensure best practices and even offer education to push the industry in the right direction. 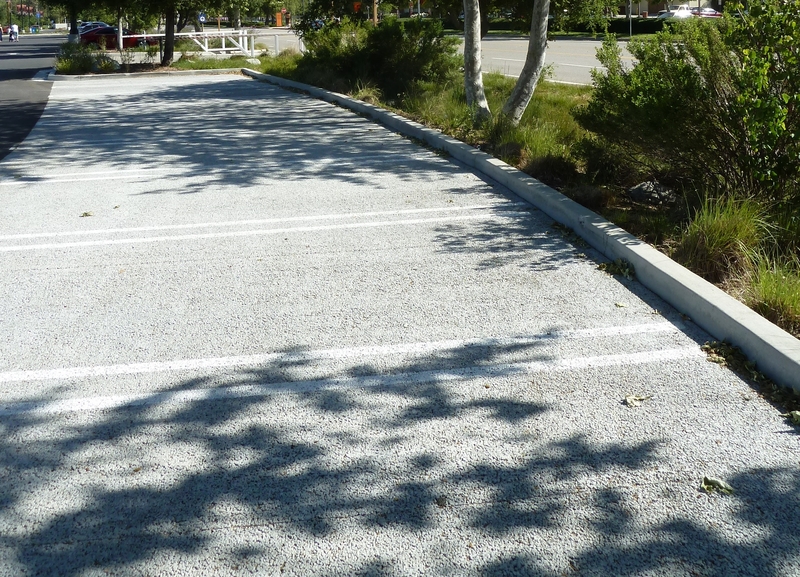 Pervious concrete is best for low use vehicular traffic or incidental areas including parking islands or shoulders. We have found that WalkWay Fine Grain is suggested for any pedestrian applications and PaveDrain is a better option for heavy duty traffic.